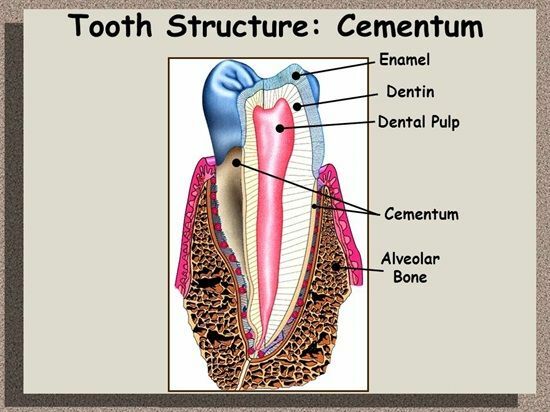 Summary: Difference Between Cementum and Dentin is that Cementum is comparable to bone in its proportion of inorganic to organic constituents and to similarities in its structure. The cementum is thinnest at its junction with the enamel and thickest at the apex. While dentin forms the bulk of the tooth. It consists of dentinal tubules, which contains the cytoplasmic process of the odontoblasts. The tubules are laid in the calcified matrix—the walls of the tubules are more calcified than the region between the tubules.